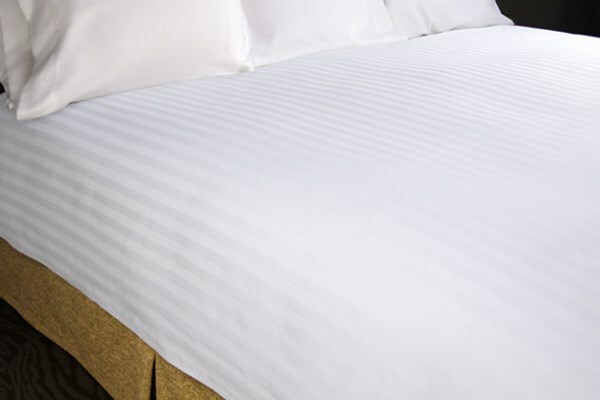 Our elegant Birdseye Stripe Duvet Cover gives you crisp, clean lines, while adding depth with the tone-on-tone white stripe. Made of a woven 60% cotton/40% polyester, the opening is at the bottom of the duvet cover and is the full width of the duvet cover with four bar tacks strategically placed to help hold the comforter in place. This method makes for an easy in and easy out of the comforter. In addition, there are 10” hand holes on each side at the top of the cover that allows the comforter to be pulled into the duvet cover from the top. Our luxurious reversible Mini-Hemp Duvet Cover gives you clean lines, while adding an elegant grey stitching for a modern look. 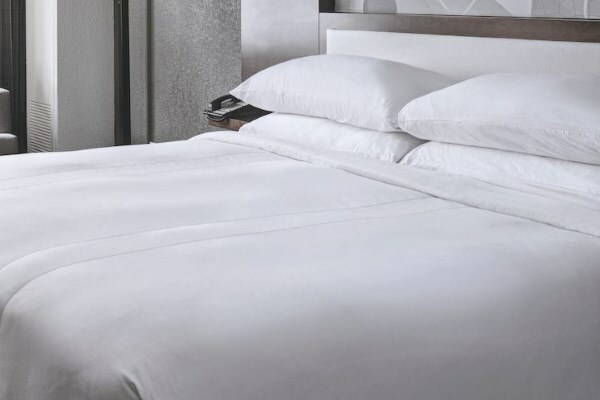 Made of a woven jacquard, 60% cotton/40% polyester, the opening is at the bottom of the duvet cover and is the full width of the duvet cover with four bar tacks strategically placed to help hold the comforter in place. This method makes for an easy in and easy out of the comforter. In addition, there are 10” hand holes on each side at the top of the cover that allows the comforter to be pulled into the duvet cover from the top. 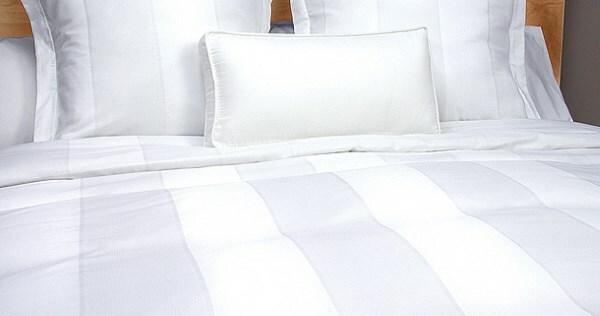 Our classic 2cm Stripe Duvet Cover gives you clean lines with the 2cm white stripe, adding depth to any room. Made of a woven 60% cotton/40% polyester, the opening is at the bottom of the duvet cover and is the full width of the duvet cover with four bar tacks strategically placed to help hold the comforter in place. This method makes for an easy in and easy out of the comforter. 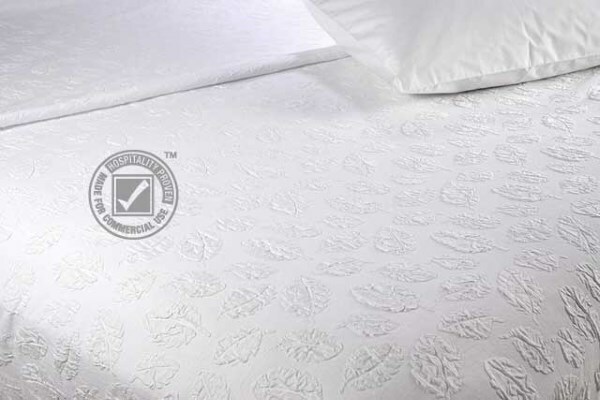 In addition, there are 10” hand holes on each side at the top of the cover that allows the comforter to be pulled into the duvet cover from the top. Our Block Print Duvet Cover is a classic, with a two-toned printed stripe. 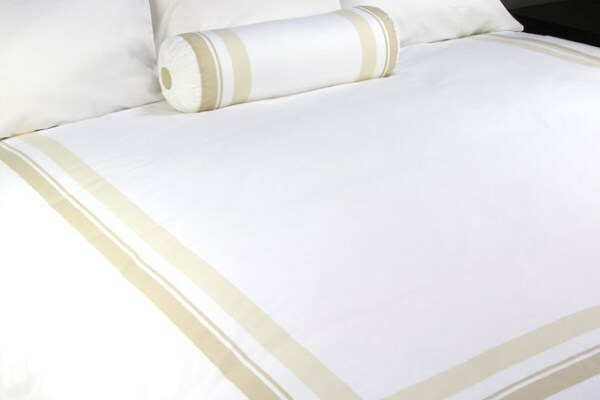 Made of a woven 60% cotton/40% polyester, the opening is at the bottom of the duvet cover and is the full width of the duvet cover with four bar tacks strategically placed to help hold the comforter in place. This method makes for an easy in and easy out of the comforter. In addition, there are 10” hand holes on each side at the top of the cover that allows the comforter to be pulled into the duvet cover from the top. Designed for easy care, our Elm Leaf puffed matelassé is both functional and beautiful. 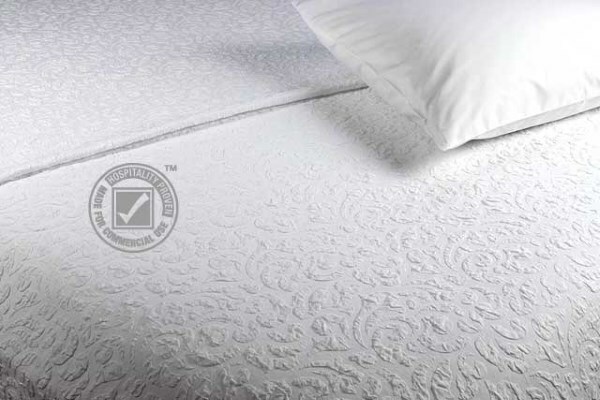 The scattered leaves in the puff design hides wrinkles while adding dimension and interest to the all-white bed. Folds, smooths and drapes beautifully. 100% polyester fabric. Our Kiera Damask puffed matelassé coverlet is a traditional design that adds a luxurious, cozy design to your bedding. 100% polyester fabric provides generous coverage and a graceful drape. 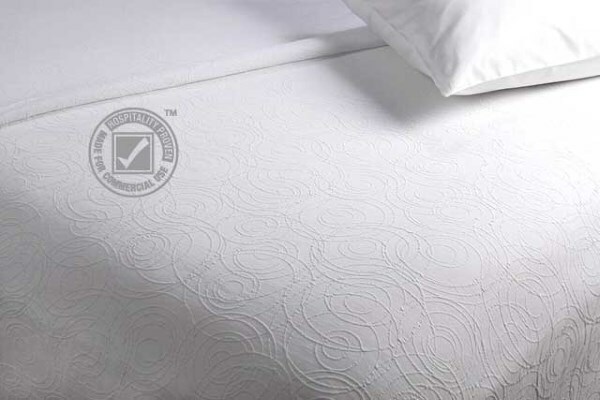 Our Ripples matelassé coverlet gently puffs to give you a unique dimension to your bedding. 100% polyester fabric designed to hide wrinkles and drape beautifully.